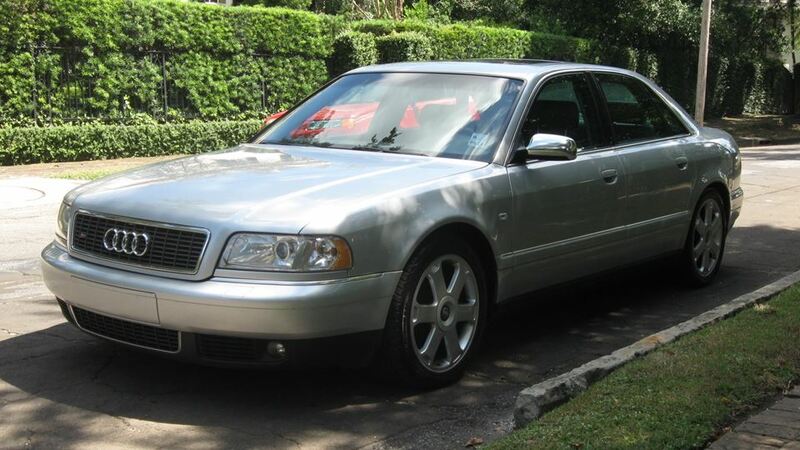 I'm the 3rd owner of this 2002 Audi S8. Bought in Dallas in 2008 at 64k miles and brought home to NOLA / Mississippi Gulf Coast area. was my DD until early 2013, when my son took it up to Brooklyn, and it was his DD for a few years. I brought it back home in July 2016 via Chicago where Gabor (outstanding D2 transmission guru) did a rebuild for me. In August 16, had alcantara door panels replaced due to delamination. In October 16 sourced lower mileage motor after compression and leak down issues in #1 cylinder and swapped out changing accessible components (steering rack & pump, starter, Bufkin pipe) plus T-belt and related items. Still addressing some very minor issues and will have bumpers re-sprayed (Brooklyn residents seem to park using the Braile system). It now shares daily driving duties with my 2014 A6 TDI - kind of like switching between a space ship and a muscle car but makes the drives fun.